With a new year comes new beginnings. I’ve always believed in focusing on the positive and to celebrate the triumphs the come along the way. I, for one try to make the most of an adverse situation and maybe even laugh about it a bit. 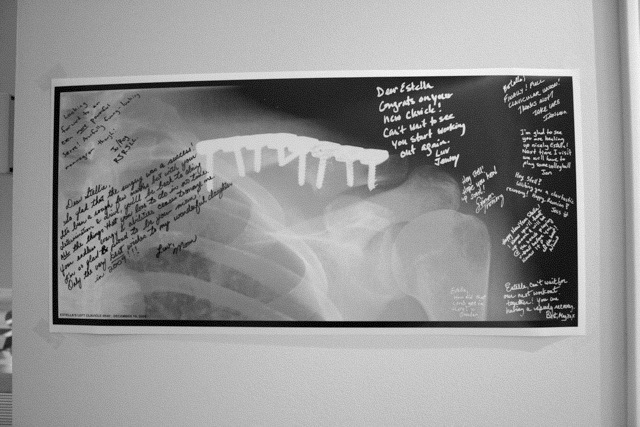 On January 3, 2009 (3 weeks, 5 days post op), I had a Clavicle party to celebrate the reunion of my collarbone. 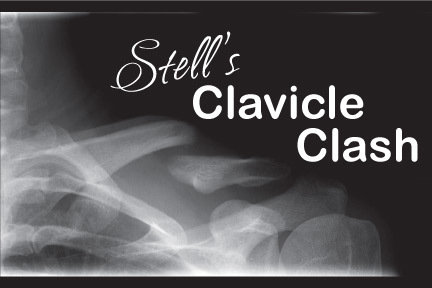 Stell’s Clavicle Clash was a reunion for the union! Friends and family came to celebrate with me as I started the new year off with a perfect clavicle. There was lots of food, music, sangrias & free autographed xrays for all! What a blast! 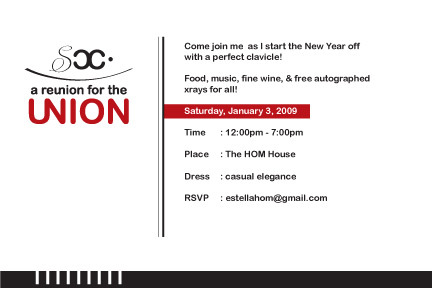 I created a branded event where I designed posters, invites, thank you cards, ‘chocolate clavicles’, a themed menu etc. I even went through the trouble of getting all my xrays on cd etc so I’d have good high res artwork to use. Fun stuff indeed! 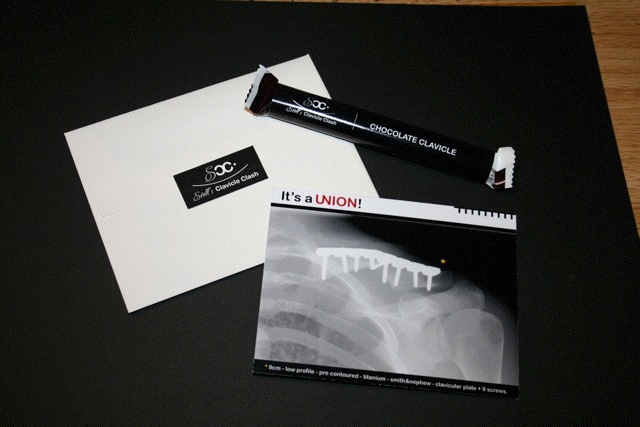 I designed thank you cards and chocolate clavicles to give to guests. 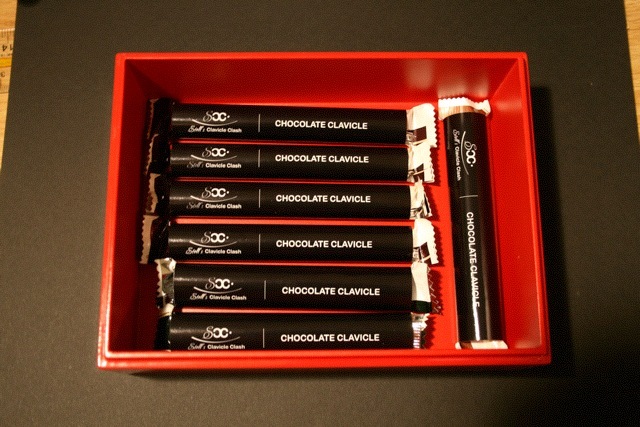 life is like a box of chocolate clavicles....u never know when you'll break one. The Back: it says - DO NOT BREAK. If broken, immediately immobilize and apply ice. A titanium plate and screws may be required if severely displaced. I printed up a 24x11" xray for all my guests to sign, which will probably go in my room afterwards. Estella Gets Her Groove Back!